Ready for Holiday Shopping? I’m already putting the list! Including making sure big sis’ gets her rocking horse this year. I forgot to ask Santa last year and during one of our talks about Santa some months back, she did mention that Santa Claus hasn’t given her the rocking horse yet. Haha. One of the places I initially check every year for holiday shopping is Lakeshore Learning, both for the kids and for our nieces and nephews. We frequent the Lakeshore Learning store in Carson, California and we spend hours and hours perusing through their learning supplies and educational toys when we’re there. And if you haven’t seen their Gifts for Growing Minds yet, you should. 242 educational products to choose from to help you with your holiday shopping(available in-store and online). And we are giving away one of the toys in the picture above to one lucky reader, so join the giveaway below. We loved our Micro Mini toy from Lakeshore Learning and have accumulated quite a number of toys from their store including another favorite of the kids – the alphabet learning locks. This time around, we got to try 3 more new toys. Check out the 3 Gifts for Growing Minds by Lakeshore Learning below. Don’t forget to join the giveaway to win the – Survive the Quake Engineering Kit. I have never seen a toy like this before. You stack up building bricks and see if they will fall down with the 5 level knob quake simulator. Why didn’t we have this when we were kids? LOL. So much fun! This toy is so unique and the kids loved it. This toy requires 4 “AA” batteries and comes with 30 building bricks in 5 sizes and cost only $29.99. It’s for ages 4 and up but our 3 yr. old did enjoy it too. 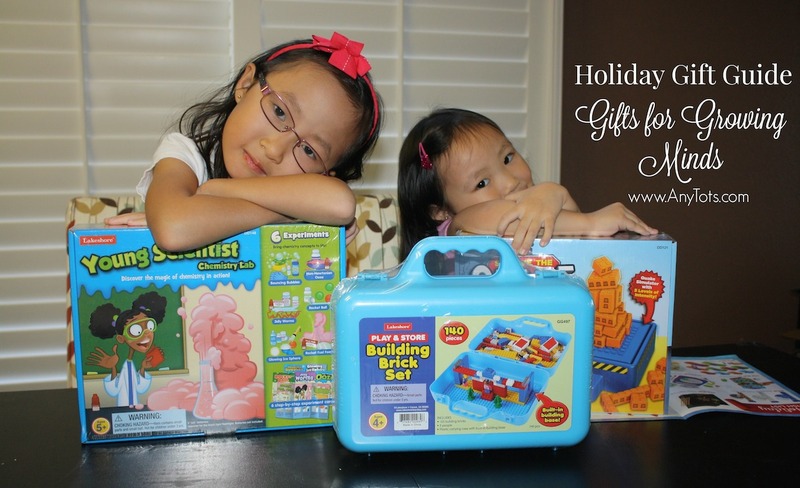 The Play and Store Building Brick Set is perfect for traveling. Since we travel every other weekend, this is a must bring as it already come with a case to keep the building bricks in. And hopefully the kids won’t leave them on the floor anymore for me to step on. Ha! It makes it easy to play and store basically. Warning: You need to have one for each kid so there’s no fighting. Haha. It includes 135 building bricks, 5 people that all fits in its plastic carrying case with built in base and is only $19.99. That is a really good deal. Big sis was excited to see this. She said she has always wanted a science kit. I had no idea she wanted to experiment. We just have to wait for the weekend to work on this as we have homework every day. We will update you but by the looks of it, it’s already exciting. This is for ages 5 and up and it cost $49.99 and if you want a refill pack to do the experiment again, it’s only $24.99. You can concoct a batch of bouncing bubbles, create a glowing ice sphere and a whole lot more. 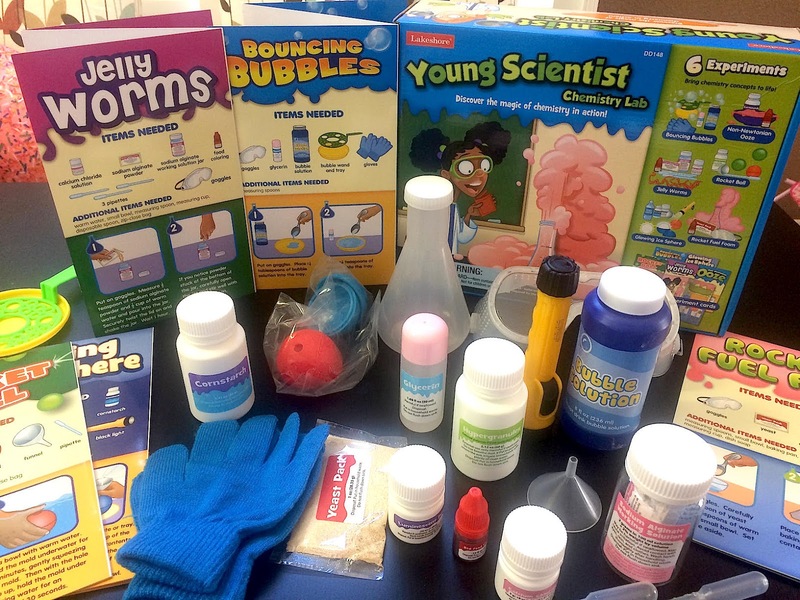 Six simple experiments each include step-by-step instructions—plus fun scientific facts. Includes over 20 pieces. Check out everything that came in the box below. Aren’t they all exciting and educational toys to have? Join the giveaway below to win the Survive the Quake Toy. Good Luck!!! Follow us on Facebook to stay up to date with all new posts. Check our current giveaways and Follow us on Instagram for all our family adventures.